Detailed descriptions of our course offerings! The Ski Camp is a two-day instructional camp for telemark, randonnee and alpine skiers. The camp is targeted to advanced beginners to advanced telemark, randonnee or alpine skiers. We provide two full days of lift-served lessons with PSIA level 3 or above instructors who are passionate about teaching skiing. Each day we work on refining skills in the lift area but have a great opportunity to try some off-piste skills in the Mt Baker ski area. We can offer instruction for Telemark/Alpine touring skiers. Late Saturday afternoon we view videos of your skiing with your instructors. Maximum enrollment is 6-8 students per section, three sections for each discipline (telemark, alphine) depending on sign ups. The sooner you sign up the easier it is for me to confirm instructors and divide classes according to your skiing ability. Please note that lift tickets and lodging are extra.Off mountain lodging is available in the town of Glacier. Please contact Shannon Marie (before 9PM) for lodging information. For those with competent backcountry skiing or snowboarding skills who desire to safely travel on glaciers and to perform crevasse rescues. You must be able to ski or board the equivalent of an ungroomed single black diamond slope with a weighted day pack whose weight is the equivalent of a glacier rope and crevasse rescue gear. This course includes work shops, optional practices and an overnight field trip at Mt. Rainier where the students will practice roped travel and crevasse rescues. Completion of this course prepares you to ski or snowboard on Mountaineer trips rated M1G, M2G and M3G. The course provides instruction on: route finding, traveling and camping on glaciers, belaying, prusiking, and crevasse rescue systems. Have either graduated or obtained equivalency for the Basic Avalanche course. Request equivalency by sending your avalanche course certificate and Mountaineers number or user id to avy@foothillswinter.org. Print the course material (see instructions below for access the course material). At least one week prior to the first course workshop, complete and send the course pre-work described in the Glacier Skiing Handbook to the course leader (see instructions below for access the course material). Access the course material at Foothills: Glacier Skiing/Snowboarding and Crevasse Rescue course material. All workshops and optional practices are conducted at the Seattle Mountaineers' building at 7700 Sand Point Way NE, Seattle. The Avalanche Awareness course provides an introduction to the avalanche phenomena. This class is a prerequisite for signing up for most Mountaineer trips (except for basic Nordic trips), and required to graduate from most of the Winter sport courses. Once again it's time for one of the Foothills signature courses- AIARE 1. Join the Foothills AIARE 1 instructors and Pro Guide Service of North Bend for this course "Decision Making in Avalanche Terrain". This course introduces students to the avalanche phenomena, the types and characteristics of avalanches, and identifying and planning safe routes and travel in avalanche terrain. The course has a major focus on developing solid group communication skills and how individual members of a group can learn to recognize and mitigate group dynamics that can lead to potential increased risk taking. You will also learn how to react in an avalanche emergency, use your avalanche beacon, rescue tools, and techniques to locate victims of an avalanche. The course consists of four evening lecture/presentation sessions on Mercer Island and a full weekend on snow with a your appointed group. You will get the opportunity to put into action all that you have learned and use the AIARE tool kit with your Foothills AIARE instructor. 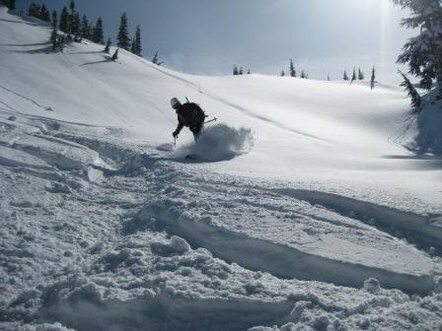 The weekend sessions start at 7:00 am and finish at 5:00pm and we will travel through the Snoqalmie Pass backcoutry. All participants in this course should have good over snow ability be it ski, snowboard, or snowshoe as this course does include two full days of group travel in varying snow covered terrain. Students will be asked to fill out a skills and fitness questionnaire we will use this questionnaire to place you in a group of similar skilled, fitness, and mode of travel individuals. Come join us for a some fun and a great as well as potentially life saving course. If you have any questions regarding this course please feel free to emailavy@foothillswinter.org. This course is designed for those skiers and boarders who are proficient on Alpine, Telemark, Randonee or Snowboard equipment, who are in good physical condition, and who want to improve their knowledge, skill and safety when entering the realm of the winter alpine. Completion of this course prepares you to safely ski and snowboard in most backcountry destinations and when coupled with the Glacier Travel Course gets you ready to say for example ski off Mt. Baker. There is a one day Basic Maneuvers Field Trip, a two-day Avalanche One Field Trip and a weekend Overnight Field Trip which includes building snow shelters and emphasis on safe route finding and touring. Students have 2 years to complete the course. Course fee: $350 for members, $400 for guests. This price includes certified AIARE Level 1 training. Course fee can be payed in two or three installments if need be (leader approval required). Enrollment is limited to 30 students.